Property 6: Kent Homestay - Peaceful, secluded apartment with water views. Close to town. Kauri Tree Retreat. Close to beach, surf and good coffee! 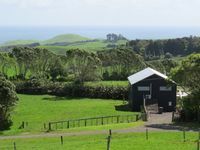 Property 8: Kauri Tree Retreat. Close to beach, surf and good coffee! We had a wonderful time staying here. The woolshed was very clean, well appointed, cosy and warm. The very best part is its location. 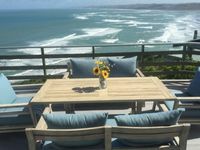 It's so peaceful and the views from the woolshed are magnificent, a constantly changing tapestry of bush, sea and sky. We hope to be back. Highly recommended. Great stay house was beautifully presented and spotless. Had some or stay changed which Julls dealt with superbly. Can&rsquo;t wait to come back.